Different user profiles enable you to use different return addresses and help you managing your email marketing campaigns. Simply import existing email account settings from Microsoft Outlook. SmartSerialMail saves all recipient data to an internal database - no external solution needed. Use a wide range of editing options to manage recipient lists. Data maintenance (e.g. subscriptions and cancellations) has never been this easy. Import recipient lists from different sources and re-use email addresses with the comfortable One-Click-Import. Use punycode to include characters from different language (such as Chinese, Arabic, or Japanese) in email addresses. Import email addresses from the Active Directory. Your team works simultaneously with different installations of SmartSerialMail. Use CC-email addresses for each recipient. Connect your own SQL database to SmartSerialMail. Update recipient lists from external sources without having to re-import them. Filter recipient lists according to criteria of your choice. Manage bounced emails and erase invalid recipient addresses from the mailing lists automatically. Process opt-in and opt-out-emails automatically and create permission-based mailing lists as well as blacklists (including wildcards). Read the content of opt-in emails when processing them and import customer information to your recipient lists automatically. Manage tracking links and measure klick rates via webserver-based tracking. Easily upload and embed graphics to your webserver to view the open rates of your serial emails. Segment data and anaylze your campaigns with clear statistics and charts. Quick and easy upload of pictures to your webserver. The HTML compatibility test warns you of possible problems users of different email software might experience when trying to view your email. 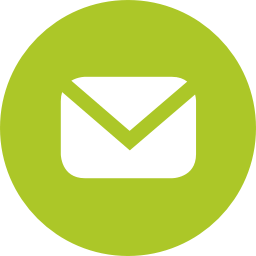 All versions of SmartSerialMail come with a choice of free HTML templates for your newsletters or serial emails. Want to use your company colors? Simply change the template colors to fit your needs. Your version does not feature the free content package yet? Simply install the free email templates today! Use placeholders to personalize your serial emails and newsletters. SmartSerialMail provides predefined placeholders for important text objects (such as first and last name). Use any data from your address lists as a placeholder. Manage and shorten long placeholders with the help of Alias Placeholders. Customizable Quick Parts help you re-use content (text and graphics). In the Enterprise Edition you can employ conditional placeholders to create reusable content. Use your Office365 or MS Outlook account to send emails via the Exchange Web Services (EWS). Never send the same email twice: SmartSerialMail synchronises the delivery status. Send emails in background while you continue working or close the main application. Lighten the load on your network by sending out your e-blast in intervals. Play by your provider's rules and never ignore sending limits by limiting the emails you will send out. The integrated spam-check makes sure your newsletter won't be falsely recognized as spam. Extended sending options allow you to subvert sending limits, schedule deliveries, save emails as EML files (e.g. for the Exchange Pickup Folder) and send emails without an email account. Compress attachments: reduce the size of mailings and send them faster. Send personalized attachments to different recipients of the same email. Use placeholders to create a different file for each recipient. Make protection of privacy your top priority and don't share important contact information with international and insecure servers! SmartSerialMail is not web-based but works out of the security of your own network or PC. Digitally sign your emails with S/MIME. Undo mistakes with the SmartSerialMail history. A step-by-step wizard helps you getting started. Work directly in the HTML-code or use the comfortable WYSIWYG-editor.